When Green Bay hosts Valparaiso on Thursday night at the Resch Center, they will be able to accomplish something no Phoenix team has been able to do since the 1996 season: win at least a share of the regular season Horizon League championship. By sweeping their two game Ohio road trip last week, Green Bay (21-5 overall, 11-2 conference) has a two game lead in the loss column over both Cleveland State (9-4 conference) and Valparaiso (8-4 conference). The Phoenix and CSU have three games remaining, while the Crusaders have four games left in the regular season. Many people believed after Milwaukee came to town on February 9th and handed the Phoenix an embarrassing 10 point home loss that the Horizon League race would tighten up. But with a 71-40 dismantling of the league's highest scoring offense, Youngstown State, on Thursday followed by a 68-54 thrashing of Cleveland State this past Saturday afternoon, Green Bay finds themselves with a nice buffer at the top of the standings again, needing just one win to clinch at least a share of the Horizon League regular season crown for only the second time in the program's history. Valparaiso easily dispatched Green Bay, 75-60, the first time the two teams met back on January 29th in Indiana. The Phoenix were without Alec Brown in that game and allowed the Crusaders to shoot nearly 60% from the floor and out-rebound GB by ten. It was the first game of the 7'1" center and projected 2nd round NBA Draft pick's career that he has missed. He dislocated his shoulder in a game against Detroit back on January 26th. If they are able to clinch the regular season championship, the Phoenix would earn the right to host the quarterfinals and semi-finals of the Horizon League Tournament at the Resch Center on March 7th and 8th, with Green Bay receiving a double-bye all the way to the semi-finals. Win that semi-final game and they would host the championship game March 11th with an NCAA berth on the line. A Green Bay loss in the semi-finals would mean the championship game would be played at the arena of the highest remaining seed. 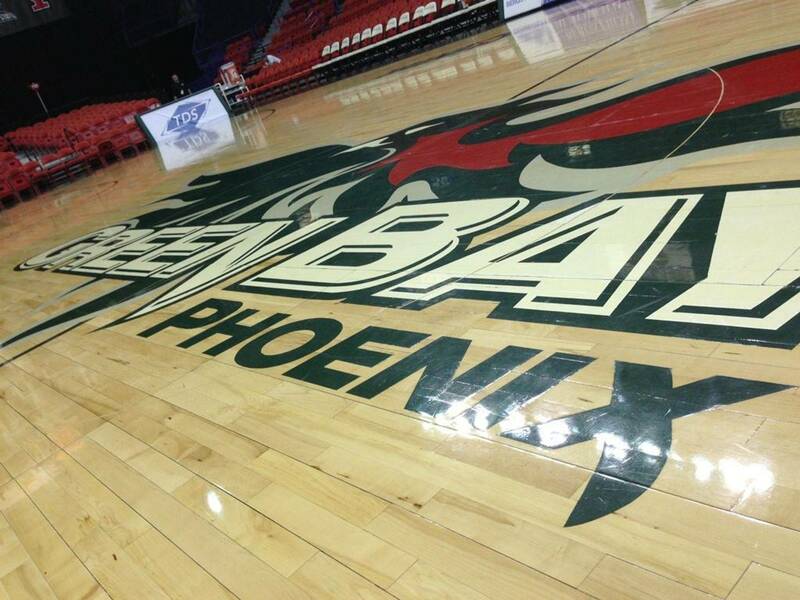 The Phoenix are 3-0 all-time at the Resch Center in Horizon League Tournament games. The last time they hosted a conference championship game in Green Bay was 1998 when the 4th seeded Phoenix fell to the 3rd seeded Butler Bulldogs at the Brown County Arena. With almost no hope of an at-large berth after two conference losses this season, Green Bay will almost certainly need to win the league's automatic bid by winning the conference tournament in order to receive a bid to the NCAA Tournament. Thursday's game against Valparaiso at the Resch Center tips off at 7:00. Green Bay will finish the regular season with a two game Michigan road trip, facing Oakland on Thursday, February 27th (7:00 on ESPNU) and Detroit on Saturday, March 1st at 3:00.